After six years, our community website is changing URLs! The URL name change is appropriate and we hope helpful as the site is designed for the curious non-resident who is looking for a home (to rent or purchase) in Circle C the opportunity to learn about the lifestyle, amenities, restaurants, schools and activities. You’ll still find great information about the community and the 18 various sections – the 4 pools – the 4 elementary schools (soon to be 5 in 2020) – both middle schools, and the one and only Bowie High. Locals will still enjoy the Resident Business Owners Directory and refer a business button. And Circle C residents will still be able to track housing trends in our Market Statistics page. 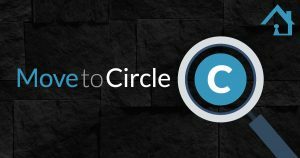 Do you know a friend or co-worker who is considering a move to Circle C? Give them a helping hand by telling them to visit https://MoveToCircleC.com!